Lottie Moon was a pretty amazing lady. You may have heard of the Lottie Moon Christmas offering that Baptists collect annually to support their missions efforts. 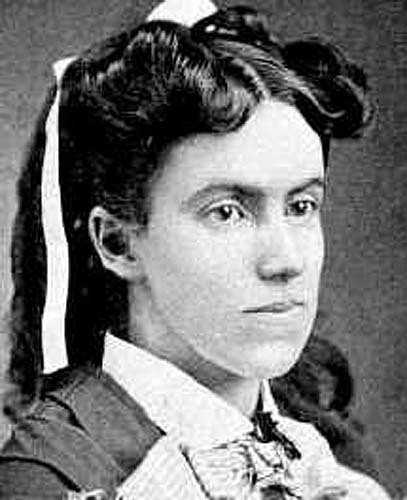 Honestly, before I had to do a presentation for my Biographies class, this was all I knew about Lottie Moon. That, and she worked in China and was single her whole life. There is so much more to her than a Christmas offering. She was born in 1840 to Christian parents in Virginia, but it wasn’t until she was in college that she really began to think about the condition of her soul. She went to an evangelistic meeting to scoff at those who were there, but she came back to her room later a changed women and she began to be very involved in church and prayer meetings on her college campus. Lottie was feisty, spirited and determined, and she did not lose these qualities when she accepted Christ. Her younger sister went to China as a missionary in 1871, in a time when single women missionaries were frowned upon and often not allowed to go unless they went to work with another already-established missionary family. Lottie began to be convicted about her own call to China, and she sailed in 1873. Her sister didn’t last much longer, and had to return home because of poor health and overwork. In those days missionaries were often not allowed to come home on a furlough except in extreme cases, and there was frequently no funding to send them back. In China, Lottie worked in the schools teaching girls. She also traveled out into rural areas, teaching and bringing the gospel to the women and children there. She was creative and determined, not letting anyone stand in her way when she had a plan. There were many issues with the other missionaries in her area who had antiquated and often negative ideas about how best to reach the local people. Lottie stood her ground, putting into practice methods for especially rural ministry that are still in practice today. She did suggest in 1887 that a collection be taken before Christmas and that same time be set aside for prayer for missionaries, and in 1888 the first Christmas offering was taken. Lottie died of starvation in 1912, because she gave away her own food during the famine in China rather than taking care of herself. She has left a wonderful legacy for all of us who have come behind her. Although she remained single, she was engaged to a man prior to her leaving for China and then almost came home later on to marry him. He could not commit to coming to China, and she could not give up the people that God had called her love. Later on in her life, she was asked if she had ever been in love with someone, and she answered, “Yes, but God had first claim on my life, and since the two conflicted, there could be no question about the result”. I so enjoyed getting to learn more about Lottie Moon and her life and legacy!